Three forks (North, Middle, South) of the Kentucky River come together in Lee County. 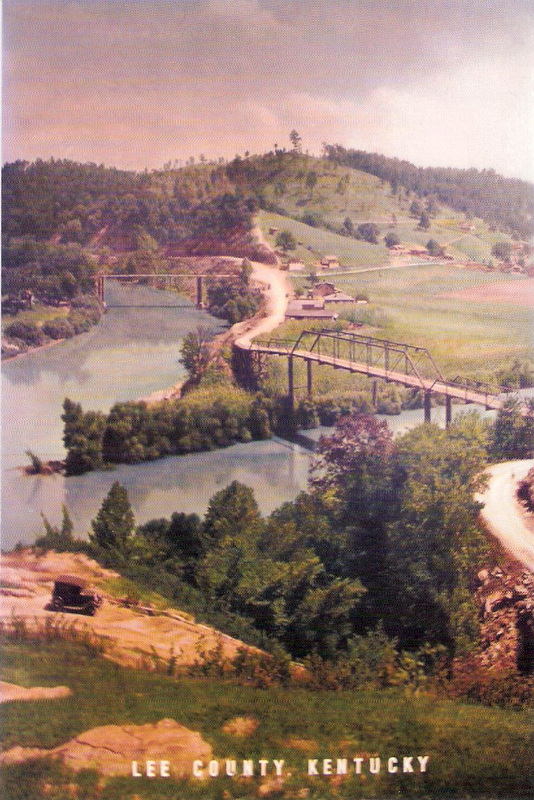 The merging of North and South Forks along side the City of Beattyville is the birthplace of the Kentucky River. This 200 mile stream travels northwest though 14 locks to the Ohio River. The merging of the two in Beattyville is a prime place in the spring to fish for muskie. Though the river does flood its banks a couple times a year, it provides great fishing, boating, canoeing, and kayaking recreation. Lexington businessmen purchased lands and coal mines near the new towns of Proctor and Beattyville at the Three Forks because firewood near Lexington and Frankfort had been nearly exhausted by 1864, and coal was becoming the fuel of choice, especially to fuel new steam engines and manufacturing mills. At mines along the Three Forks, miners worked coal seams outcropped on hillsides fronting the river. Digging the coal by hand, the pushed it out of the mines in wheelbarrows running on wooden rails or trams to the riverside, where they dumped into coal boats - wooden barges resembling the pioneer flatboats. Some coal went to fuel steam sawmills at Proctor, some to hear brine at the Goose Creek saltworks, but mist went down river to Lexington, Frankfort, and Lousiville. Logging was another large industry. They were lashed together on the banks of the headwaters and when flood came, men would raft the logs though the locks, northwest to the cities and sell the timber. "Nothing is now needed but the extension of this grand improvement to the three forks of the Kentucky River to make it the best, cheapest, and one of the most profitable public works in the United States. By this extension the mineral wealth of out mountains will be made tributary to our rich valleys; and by a natural reaction, the capital and agricultural products of the valleys will cause the wild and sterile mountains to resound with the cheerful and happy music of the loom and the anvil." Photos taken from Proctor in the 1920s showing Beattyville and the merging North and South Forks. Beattyville/Lee County is a proud supporter of the Kentucky River Water trail Alliance. An evolving group of organizations and advices dedication to support the development and stewardship of the Kentucky River. The Alliance hopes to unify projects and points of interest, improve recreational access to the river, network throughout the watershed, educate communities, and more. 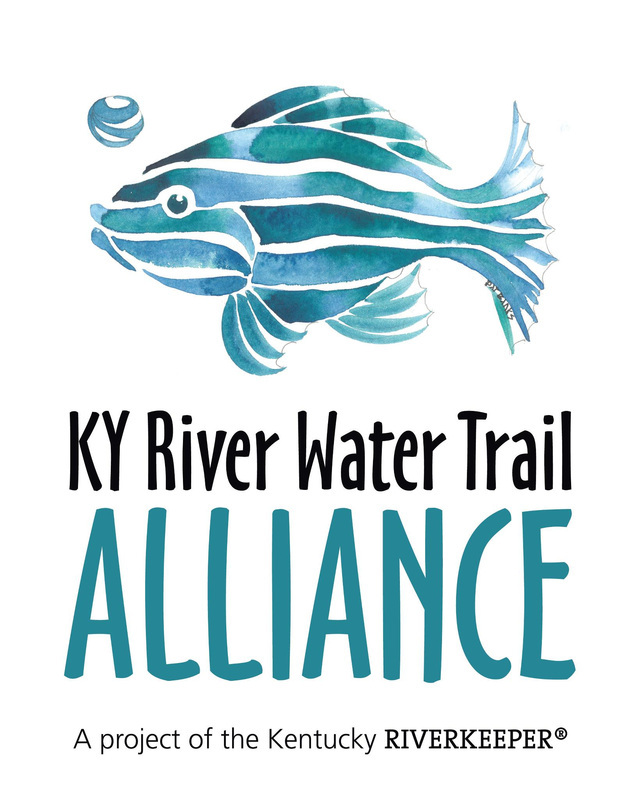 The Bluewater Trails Program of Kentucky's Department of Fish and Wildlife Resources has designated 10 state water trails throughout the Commonwealth, including the Kentucky River Water Trail southeast of Lexington. The Kentucky River was recently (June 1, 2013, designated "the Great Outdoors" adventure by the National Park Service. The Water Trail currently includes pool 4 and 9 but will soon reach pool 14 in Beattyville. The Commonwealth of Kentucky highlights this water trail as one of Kentucky's "Wild Adventure" tourism attractions.